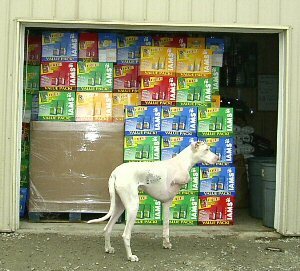 Thanks to Procter & Gamble the rescue will not have to worry about dog food for quite some time. 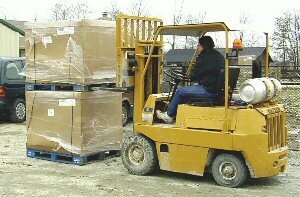 P&G made a very generous donation of about 80,000 pounds of dog food and biscuits. 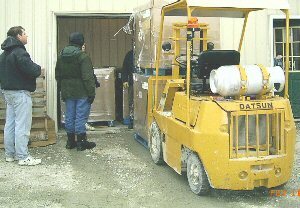 HHGDR not only wants to thank P&G for the generous donation but the wonderful volunteers that gave their time and energy to unload and store the dog food. Thanks Charlie Smith, Christe McGarry, Dale Francis, Don Corsmeier, Nancy Marconett & Scott Altenhoffen. Ben approves a job well done!